We're so glad you're here! Our mission to support and inspire an enriching environment that enhances EVERY student’s educational experience. We are honored to serve this community and hope you support us by becoming a member of the Del Mar Heights PTA. It's absolutely imperative that our parent community continues to attend these Heights Rebuild meetings. We had a fantastic turnout for the first session, which was extremely well organized by Baker Nowicki Design Studio, the firm tasked with designing our new school. Let's continue to show up to learn and provide input! To RSVP or learn more about the agendas, CLICK HERE. April 18th, Del Mar Hills Academy, 6:00-7:00 p.m.
San Dieguito Alliance for a DrugFree Youth will present on vaping. BeSmart and SDPD will be there to give a presentation and local updates. May 14th, Del Mar Heights MUR, 6:30-8:00 p.m.
Dr. Divya Kakaiya returns to DMH to present on the Pre-Teen Brain. She also presented the same topic to the sixth graders during Understanding Differences. ​Complimentary Childcare will be offered for the workshops at Del Mar Heights School. For three weeks, our terrific STEAM+ teachers will integrate lessons on the history, culture, dance, and music of Korea. We invite parents to visit the Library, where we will feature displays that change each week. Each display will highlight a different aspect of Korea's rich and wondrous culture. You won't want to miss the Korean cuisine and fun activities we have planned for you! Please ask friends and family for any Korean-related display items. We need cultural artifacts such as costumes, books, games, art, and more for our library displays throughout the three weeks. If you have any questions or would like to contribute a display item, email Wenhsin Lee. ​If you are interested in being a part of Cultural Heights Korea, it's not too late! Please contact Sandy Uslander or Ann Amukele. Purchase your very own Del Mar Heights School yearbook for just $20! Yearbooks will be delivered to your child's classroom the last week of school in June, in time to collect friends' signatures before heading off for the summer! What a great way for your child to have photos from all the memorable events this past school year! Includes the Halloween parade, Winterfest, Harvest Fest, Beauty and the Beast Play, Talent Show, Art Show, Garden Club, Jog-a-thon, and many more! PLEASE NOTE: Unlike previous years, yearbooks are NOT part of the reward levels during the Annual Giving Campaign. Come help us clean up our local beaches! Meet the group at 9am at the Powerhouse Park in Del Mar. Be sure to wear your DMH spirit wear and bring a bucket or reusable bag to collect trash. What in the World Is Chicory? This week students harvested, washed, and dried bitter greens (Chicory) and peppery Arugula, as well as Devil's Ear lettuce to make "green" roll-ups for dipping at the tasting table. We dipped the whole green leaf in some yummy dressing, and also finished off our delicious tangerines. Chicory was understandably not the favorite, but the other greens were swiftly gobbled up. One student exclaimed it was "my favorite by infinity and beyond", but then the group contemplated, is infinity more than a googol? Hmmmm. How a 1st grader even knows what googol means is amazing in itself! Every week, we give you a glimpse into Garden Club activities but, as we enter the home stretch of this year's garden clubbing, we'd like to give you a hint of some of the side-stories that you could be in on as a volunteer. Have you ever wondered about your teacher's middle name, contemplated how the PVC cage covers look like an elevator when turned on end, talked about Game Day, or wondered what the kids at 6th grade camp were doing? Students do. We have conversations just like this every week in Garden Club. To be in on the volunteering fun, and maybe take home a handful of parsley or mint, a cabbage, or something yummy from the garden, join us Fridays from 11:30am - 12:30pm. We won't be meeting the next two Fridays due to Spring Break, but consider joining us for one of the last 6 Garden Club meetings of this school year. Contact garden coordinator Stephanie Murphy if you have any questions. We Need Pictures For The Yearbook! Do you have any pictures from these 3 events or from your child's classroom? Please upload them here! ​We also need a volunteer parent photographer for the Talent Show. If you are interested, please contact Tara Andersen. 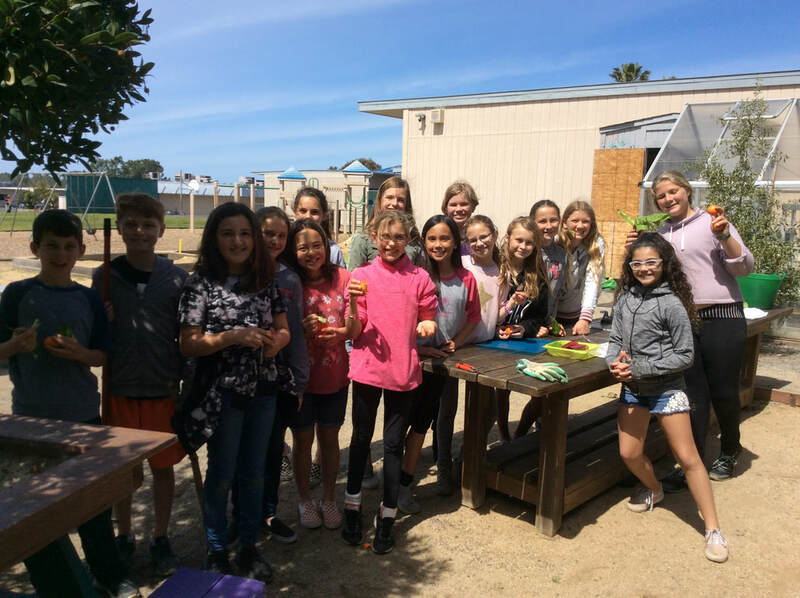 Become a DMSEF board member and support the STEAM+ program at Del Mar Heights and across the district! DMSEF is committed to providing enriching and engaging educational opportunities through a robust interdisciplinary STEAM+ curriculum. If you are interested in helping our students reach their fullest potential and becoming future innovators and leaders, contact Samantha Madhosingh, DMSEF President and Chair. ​Come one, come all! The outrageously fun Del Mar Heights Dads' Club membership is open to all men who play an important role in the lives of current Heights students - dads, stepdads, granddads, uncles, big brothers, guardians...you name it, all are welcome! The Del Mar Heights Dads Club meets the first Wednesday of each month at Jimmy O's on 225 15th Street in Del Mar. Come grab a brew and help us plan a spectacular year! Questions? Contact Gordon Fletcher or Shay Hasselmann at dads@delmarheightspta.com. Spirit Wear is Still On Sale! Order these all new designs today, and you'll be set for Spirit Days all year long. Show your spirit and fashion sense by heading over to our Online Shop. There are a variety of options for both children and adults. Our new zip-up hoodies are so soft and warm. This year's logo comes in blue and white, and pink with silver. All items are sold at or near cost, so take advantage of the low prices while quantities last! NEW TO DEL MAR HEIGHTS? CLICK HERE to add your family's contact info into the directory. Access to the online directory is available to all Del Mar Heights families. RETURNING TO OUR ONLINE STUDENT DIRECTORY? NEED TO UPDATE YOUR INFO? You should have received an email from mail@myschoolanywheremail.com on Saturday, Sept. 1st, around 9:35 am. The email will contain a personalized link to a secure, online form populated with your information. To ensure that you are included in this year's directory, please take the time to review and update your students' teacher, contact information, and directory preferences. If you did not receive the email, you can still update your family information by clicking HERE. If you have any questions, please don't hesitate to ask Michelle McGraw, VP Membership. Support The Heights While You Shop! All it takes is 5 minutes to register for Amazon Smile and the Ralphs Community Contributions Program and voilà! You can start generating money for Del Mar Heights student programs just by doing what you already do. The difference is that 0.5% of your Amazon purchases and up to 4% of your Ralphs spending are donated to the Del Mar Heights PTA. Click on the dolphin to subscribe to the Dolphin Digest, the PTA's primary form of communication with parents. No time to fill out the online form? Simply text the keyword THEHEIGHTSDD to 22828. The Del Mar Heights Directory is available on your computer, tablet, or smart phone using MySchoolAnywhere. If you have not already signed up, please visit the Del Mar Heights Directory page. 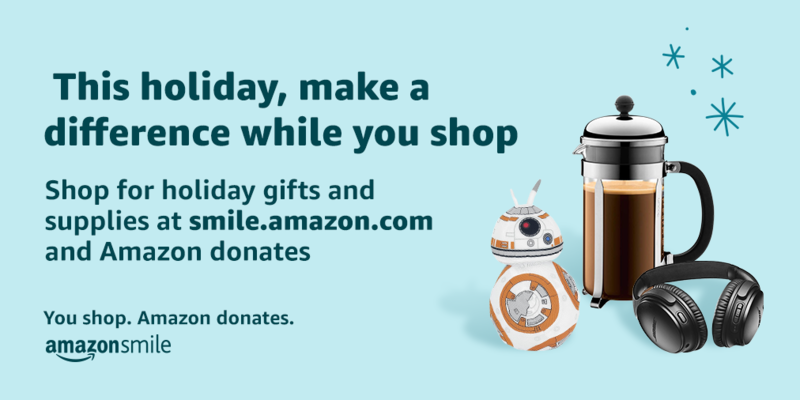 ​smile.amazon.com/ch/33-0708127, and each time you shop, Amazon donates to Del Mar Heights PTA. Ralphs Community Contributions Program. It couldn't be easier - just shop, swipe, and earn. Click here for enrollment instructions. We want them! Please contact us with suggestions for new programs or if you have any questions at info@delmarheightspta.com. ​We promise to get right back to you!